April 21, 2019 5:57 pm You are here:Home English Section SECOND INTERNATIONAL CONFERENCE SEMINAR OF TAMIL STUDIES Madras – 1968! 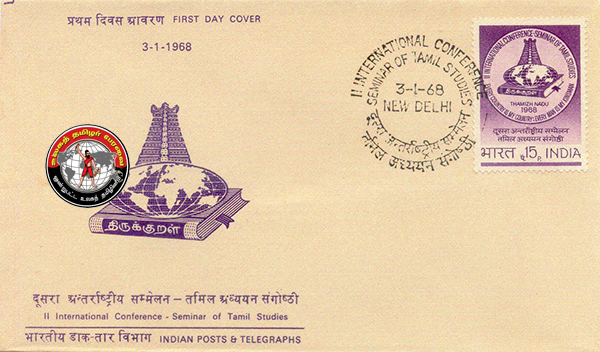 SECOND INTERNATIONAL CONFERENCE SEMINAR OF TAMIL STUDIES Madras – 1968! On the occasion of the First International Conference Seminar of Tamil Studies, held in Kuala Lumpur, Malaysia, in April 1966, Sri. M. Bhaktavatsalam, at that time Chief Minister of Tamil Nadu, invited delegates and observers participating in the Conference to attend the Second Conference in Madras. This invitation was enthusiastically accepted and the Second International Conference Seminar of Tamil Studies, sponsored jointly by the International Association of Tamil Research and the Government of Madras, was held at the University of Madras between 3rd January and 10th January 1968. Among the total number of almost five hundred delegates there were two from Argentina, two from Australia, three from Canada, forty-nine from Ceylon, three from Czechoslovakia, two from Fiji, two from Finland, seven from France, five from Germany, one from Hungary, 280 from India (of whom 203 were from Tamil Nadu), three from Indonesia, two from Israel, four from Italy, three from Japan, one from Korea, thirty-seven from Malaysia, two from Mauritius, one from Mexico, two from the Netherlands, one from the Philippines, two from Rumania, thirteen from Singapore, one from Spain, three from Sweden, two from Switzerland, one from Thailand, six from the Union of Soviet Socialist Republics, nine from the United Kingdom and forty-two from the United States of America. 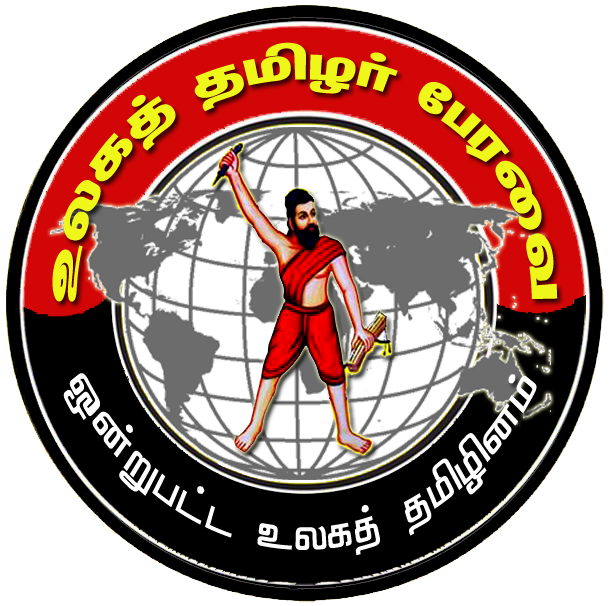 To run concurrently with the Second International Conference Seminar, a World Tamil Conference, aimed at a wider audience and planned with a view to making an appeal of a more popular nature, was arranged by the Government of Tamil Nadu, by this time under the leadership of the late Thiru C. N. Annadurai. A leading part in the organisation of this World Tamil Conference was played by Thiru M. Karunanidhi, the present Chief Minister of Tamil Nadu. As apreludetoit a number of newly erected statues were unveiled in Madras. On 1st January Dr. Sir A. Ramaswami Mudaliar performed the unveiling ceremony of the statue of Thiru C. N. Annadurai at the Round Tana, Mount Road. On the following day statues of ten important figures in the story of Tamil culture and history were unveiled on the Marina Beach, Madras. These were Thiruvalluvar, Avvai, Kamban, Dr. G. U. Pope, Dr. Robert Caldwell, Bharathi, Bharathidasan, V. O. Chidambaram, Veeramamunivar (C. J. Beschi) and Kannaki. On the afternoon of 3rd January a cultural pageant, consisting of a number of tableaux depicting scenes from Tamil history, tradition, literature and art, interspersed with contingents of participants from educational institutions and volunteers of the Prosperity Brigade, moved in procession over a mile-long route, starting and finishing at the Island Grounds (the venue of the World Tamil Conference), and taking in Mount Road, Cathedral Road. Edward Elliot’s Road, Marina and Band Practice Road. Although the Government of Madras World Tamil Conference and the International Conference Seminar of Tamil Studies were organised as separate and independent (albeit simultaneous) functions, many people in Madras at the time showed an interest in both, and a small number of scholars took part in each of them. The main formal link was the opening ceremony, held before a large and eager crowd on the broad expanse of the Madras beach on the evening of 3rd January. The late Dr. Zakir Husain, President of the Indian Union, gave the inaugural address under the chairmanship of the late Thiru C. N. Annadurai, whose speech was followed by a concluding vote of thanks by Thiru M. R. Perumal Mudaliar. The proceedings had opened with an invocation by Thiru M. M. Dhandapani Desikar and a civic address to the President by the Mayor of Madras, Dr. Habibullah Baig. Welcome addresses were given by Thiru V. R. Nedunchezhiyan, State Minister for Education and Industries, Thirumathi Sathiavani Muthu, Minister for Harijan Welfare, Thiru M. G. Ramachandran, Chairman, Souvenir Production Committee, and Professor Jean Filliozat, President of the International Association of Tamil Research, and congratulatory messages from distinguished figures unable to be present were read by Thiru A. Subbiah, Convener of the Second International Conference-Seminar. Proposals for Thirukkural research, in connection with offers of endowment, at Annamalai University, Madurai University and Madras University were made by three ministers in the state government, namely Thiru K. A. Mathialagan, Thiru M. Muthuswamy and Thiru M. Karunanidhi respectively. Dr. M. Audiseshiah, Acting Director-General, Unesco, and Thiru M. Tiru. chelvam, Minister for Local Government, Ceylon, offered their felicitations. A Conference Souvenir volume was released by Sardar Ujjal Singh, Governor of Tamil Nadu. The proceedings of the International Conference Seminar of Tamil Studies extended over six full days between Thursday, 4th January, and Wednesday, 10th January. The varied sessions included nine plenary sessions and a total of thirty-six group meetings. At each of five of the plenary sessions two major papers by distinguished international scholars in the field of Tamil and Indological studies were presented and discussed. The other four were ” structured panels “, at which topics of more or less specialised interest were discussed by panels of from ten to thirteen scholars. Group meetings were run simultaneously in Linguistics (two separate sections), Literature, Art and Archaeology, History and Social Studies, Science and Technology, and Papers in Tamil. One plenary session, too, was devoted to papers in Tamil by Dr. M. Varadarajan, Professor of Tamil at the University of Madras, and Thiru L. P. Kr. Ramanathan Chettiar, Head of the Department of Tamil (Oriental) at Annamalai University. Comments and questions at other sessions were in both Tamil and English…. Each evening throughout the period of the Conference, delegates were given opportunities to savour aspects of Tamil culture. Special performances of Tamil dramas and films, dance tecitals and concerts of instrumental and vocal music were presented. In addition arrangements were made for those interested to be present at concerts forming part of the annual Madras festival of music and dance. Opportunities were also offered to visit museums so that delegates should see something of South Indian art. On Sunday 7th January visits were arranged to places of interest in and around the city of Madras, including the temples in Conjeevaram and Mahabalipuram. When the Conference was over, a special train carried a good number of registrants on a tour of Tamil Nad. In the week starting 11th January and ending 18th January, those who joined the train were able to see the temple of Nataraja at Chidambaram, with the nearby Annamalai University, the great Chola temples, the Art Gallery and the Saraswathi Mahal Library in Thanjavur, the Rock Fort and the temples of Tiruchirapalli, the Meenakshi Temple and the new University at Madurai, the industrial centre of Coimbatore and, finally, Cape Comorin, taking in Suchindran temple on the way. After the Conference a number of scholars who had been brought by it to Madras took part in a Seminar on Comparative Dravidian, held at the Annamalai University, Annamalainagar, from 11th to 14th January 1968. Papers presented at this seminar have since been published by Annamalai University Press in a volume edited by Professor S. Agesthialingom and Thiru N. Kumaraswami Raja under the title Dravidian Linguistics. Tags: SECOND INTERNATIONAL CONFERENCE SEMINAR OF TAMIL STUDIES Madras - 1968!